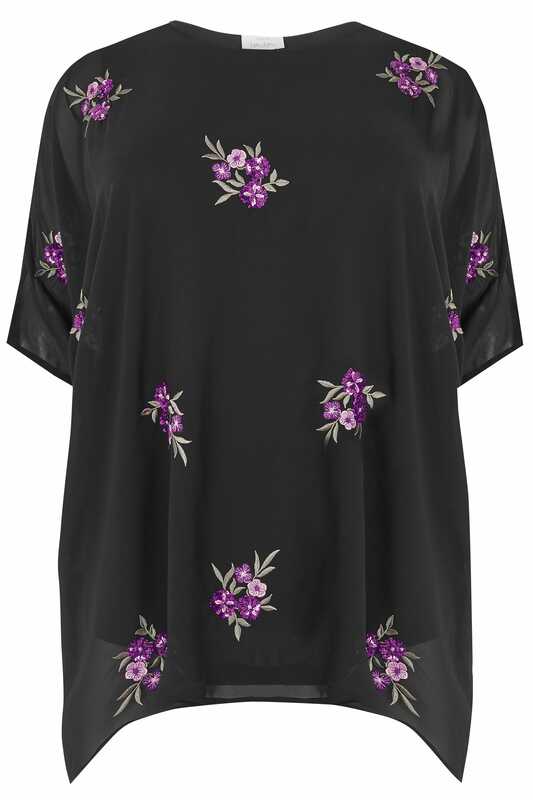 Elevate your new season wardrobe with this eye catching top. 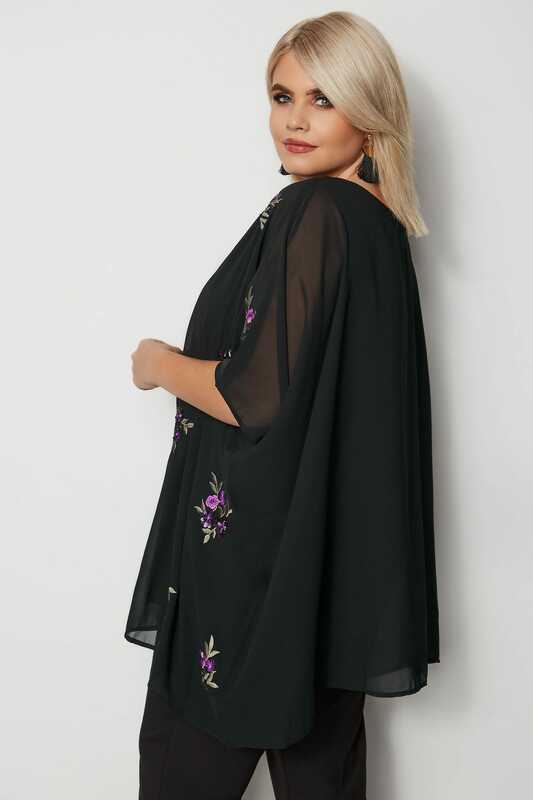 Adorned with sparkling sequin embellishments, its relaxed cape style boasts elegant floral embroidery on a lightweight chiffon base. 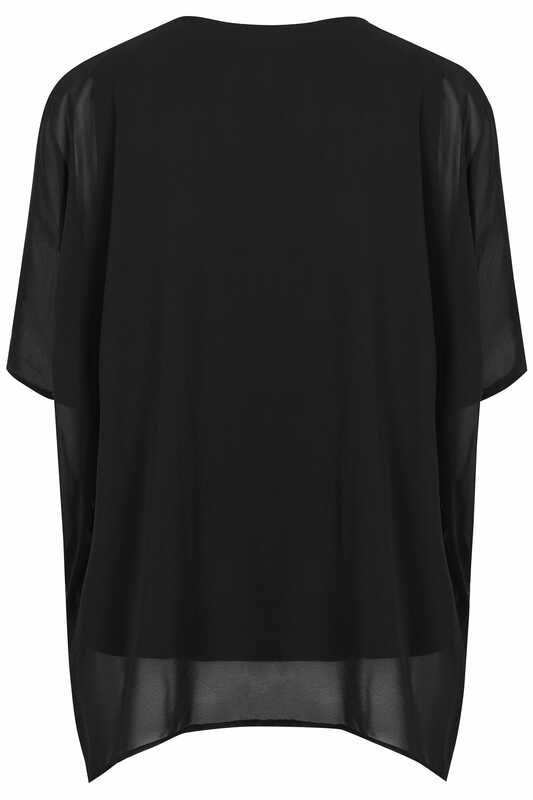 Team with dark denim and a pair of your favourite high sandals for an elegant after-dark look.